Meet the B-206 lawn and garden tractor from Allis-Chalmers. Just the right size, performance and price range for those in between yards. 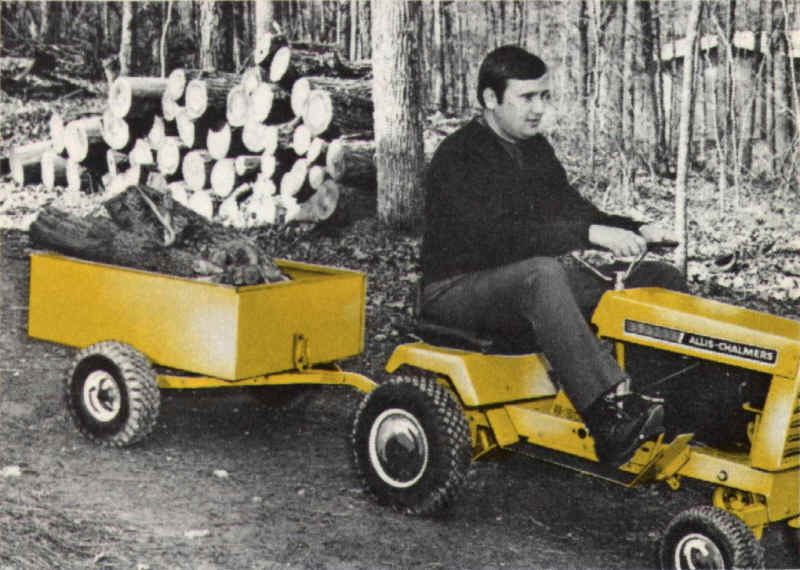 A husky 6hp, four-cycle, Briggs and Stratton engine moves you right along. And you can choose either the standard recoil start model or the optional electric start version. Accessories? You bet. Naturally there's a mower. 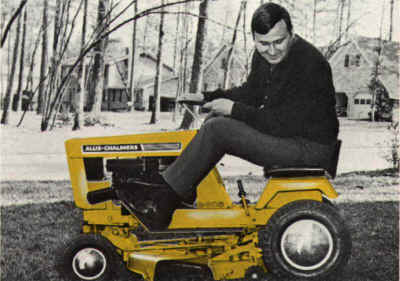 But what a mower! A single blade, deep deck 26 incher with aerodynamic suction for fast, efficient discharge of the clippings. Free floating too. It moves with the contour of the land to prevent scalping. 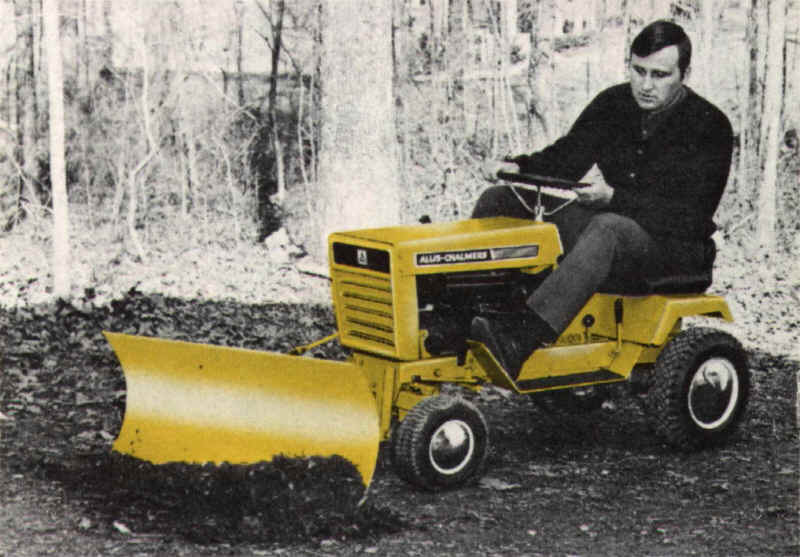 There's even an adapter available for leaf mulching. 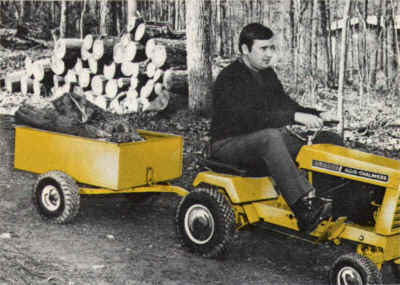 You can add a dump cart too. A big 1,000 pound payload eases all your hauling. Empties easily and completely without disconnection from the tractor. Live in the snow belt? No problem. Just hook up a snow dozer blade and plow away. Also suitable for light duty dozing of gravel, sand and top soil. All in all, the B-206 is a lot of tractor . . . specially designed for the man with the in-between lot. From Allis-Chalmers . . . the people who know what big tractor performance and reliability are all about. The information contained herein is general in nature and is not intended for specific application purposes. Allis-Chalmers reserves the right to make changes in specifications shown herein, add improvements or discontinue manufacture at any time without notice or obligation.